Tour Moscow in comfort and style on this luxury river cruise and visit to Red Square. On board your yacht you can relax in the restaurant while taking in the sights of Moscow through the large windows. Your local guide will tell you all about Moscow’s centuries of history. 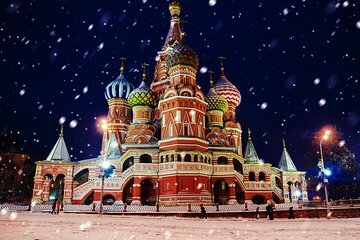 This is an ideal tour for first-time visitors to Moscow, and travelers who want an overview that combines activity and relaxation.